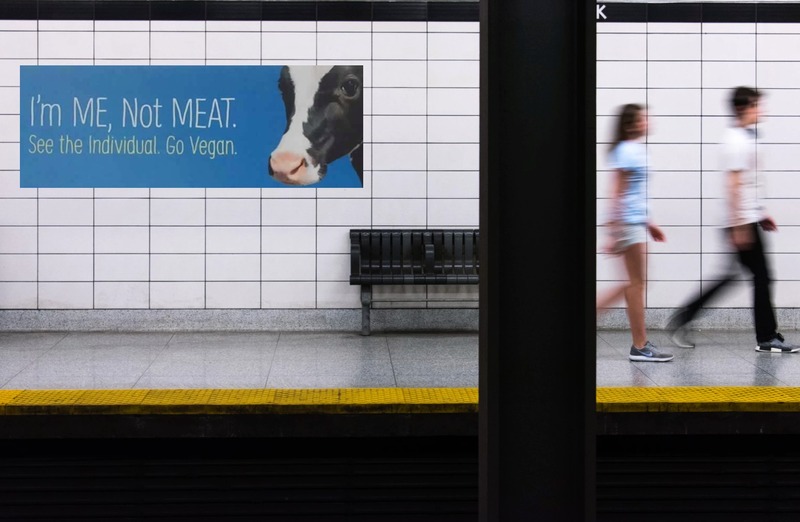 Commuters have blasted a series of pro-vegan posters in Toronto subway stations, saying they 'force an opinion' on them. The posters, by animal rights charity PETA, were installed on July 9 and are due to run until the end of the month. They feature cows, pigs, chickens or lobsters, along with the slogan: "I'm me, not meat. See the individual." The images have been badly received by some, with one commuter telling local news outlet CBC Toronto: "I think it's forcing other people's opinions on others, I don't agree with it." Another added: "It should be a personal choice and not advertised. I'm not vegan and I personally love meat." According to PETA, it faced some resistance from the Toronto Transport Commission, which initially rejected its campaign. Following the rejection, PETA threatened legal action when TTC's advertising sales agency, Pattison Outdoor, failed to respond to repeated emails sent between March 23 and 29. Adding that the ads comply with the Canadian Code of Advertising Standards, PETA said refusing its request constitutes an infringement on its Charter rights. PETA Executive Vice President, Tracy Reiman, said: "There's no excuse for rejecting ads that alert commuters to the agony of chickens whose throats are slit for nuggets and geese who are suffocated for Canada Goose's coats. This blanket refusal even to respond to PETA's inquiries violates our right to free expression, and we're prepared to take the issue to court if necessary."